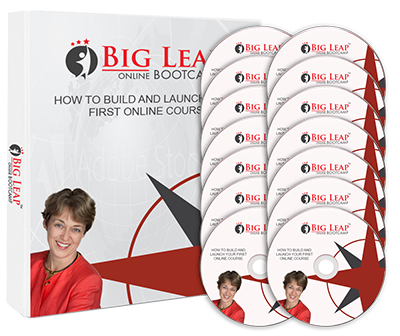 Yes, Petra, I want you to save my seat for the Big Leap Bootcamp® so I can build and launch my first online course while avoiding the pain, frustration and delays of doing it alone. …all for the investment of just $4,997. I will participate in this 6-month small group program and benefit from your experience in creating online courses and group program and mentoring others to do the same. I am taking advantage to an extra 6 months of program access and coaching so I can build out my Signature Leveraged System. I’m going to process my order now so I don’t regret missing this opportunity later.